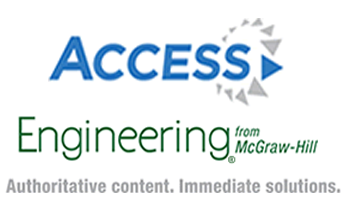 Access Engineering is an award-winning engineering resource for professionals, academics, and students that provide access to the world's best-known, authoritative and regularly updated engineering information. It provides access to e-Books in the fields of Mechanical Engineering, Chemical Engineering, Materials Science, Biomedical Sciences, Computer Science, Mathematics and Electrical and Electronic Engineering. AccessMedicine provides access to a wide range of e-Books covering a wide range of medical topics such as Pathology, Haematology, Internal Medicine, Medical Microbiology and Medical Physiology. The Access Medicine database also contains videos, calculators, cases and self assessments for students and practitioners. (ARDI) Access to Research for Development and Innovation provides access to books, journals and reference materials covering Science and Technology. Subjects covered include health sciences, physical sciences and life sciences. Ask for additional login details from the library Information Desk or call the Research Services Office on Ext 2182. The African Digital Library has a collection of thousands of e-books that are freely available to users in Africa. The database requires individual registration in order to use its resources. The African Digital library covers several subject areas and can be acessed from anywhere over the internet. A key feature to the Africa Portal is the online library collection holding over 3000 books, journals, and digital documents related to African policy issues. The entire online repository is open access and available for free full-text download.